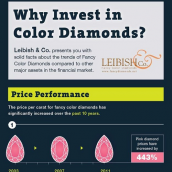 Just about everyone interested in natural fancy colored diamonds is familiar with the Argyle diamond mine. Located in the east Kimberley region in the north of Western Australia, the Argyle diamond mine is only one of Rio Tinto’s collection. 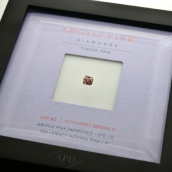 Although it’s annual production is not nearly the highest in comparison to some other mines, its vast popularity comes from their production of over 90% of the world’s rare Argyle pink diamonds. As technology improved and digging commenced, production from the mine eventually depleted. The company ultimately announced that they had expected production to only continue until roughly 2017. However, with the final closure of the above ground mining last week, Rio Tinto celebrated the completion of a $2.2 billion expansion on the Argyle underground mining project that should extend production through till’ 2020. It will take some time to get this project into full gear, but maximal production is expected by 2015. The underground mining project is great news for investors since the diamond mine reported a 13.1 million carat production in 2012 and expects a rise up to an annual 20 million carat production in the coming years. 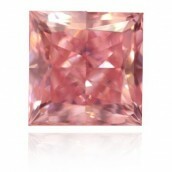 Natural Pink diamonds are among the rarest and most luxurious of the fancy color diamond family. 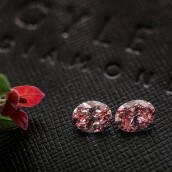 Along with the famous Argyle pink diamonds, they are known to have produced a number of beautiful blue, violet, and red diamonds as well. 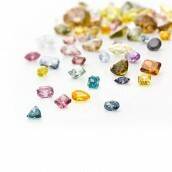 Like other investment pieces, these stones not only have a high price to begin with but also a terrific value. Along with their high demand and relatively low supply their resale value is guaranteed to be quite significant. Similar to how some of the brand-name fashion houses have built themselves up, Rio Tinto’s Argyle mine has done so as well. They provide their own Argyle certificate, Argyle grading chart, and Argyle laser inscription with their stones. 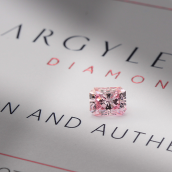 Furthermore, they offer the very best (most valuable) diamonds found throughout the year in the invitation only Argyle Pink Diamond Tender. 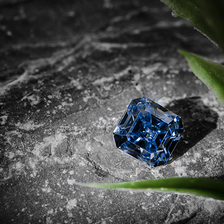 Naturally, there are diamonds found elsewhere that have similar qualities, but the diamonds with Argyle material are known to display some of the most incredible color saturation. It is no surprise the company has managed to market their most popular product so well, as it is essentially the most concentrated form of wealth on earth! 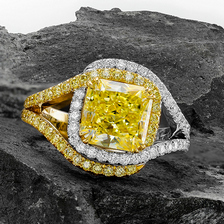 Despite the expansion, Rio is still planning to sell the diamond mine, which opened in 1983 and had produced approximately 800 million carats. Although they have already moved underground, and many don’t have the highest hopes that too many more super stones will be found, one really never knows what tomorrow will bring.